1 I charge you in the presence of God and of Christ Jesus, who is to judge the living and the dead, and by his appearing and his kingdom: 2preach the word; be ready in season and out of season;reprove, rebuke, and exhort, with complete patience and teaching.3 For the time is coming when people will not endure soundteaching, but having itching ears they will accumulate for themselves teachers to suit their own passions, 4and will turn away from listening to the truth and wander off into myths. 5As for you, always be sober-minded, endure suffering, do the work of an evangelist, fulfill your ministry. In the first picture is a false love that merely loves what I want, but the second picture is of the Love who loves even those who don’t want Him. False love makes us curved in. 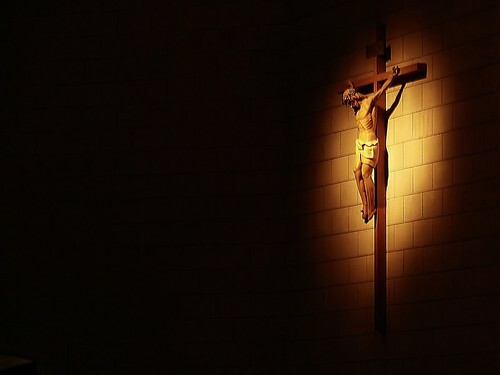 His true and holy love makes us sound as He teaches sound doctrine in His Church and calls us out the darkness into His own most marvelous light. Take your pic as He has picked you.